Chipotle’s years-long redemption tour might have hit a snag. Throughout this week, health officials in Ohio have reported hearing from hundreds of people in connection to an outbreak of sickness that appears to be linked to one of the chain’s locations in Delaware county. 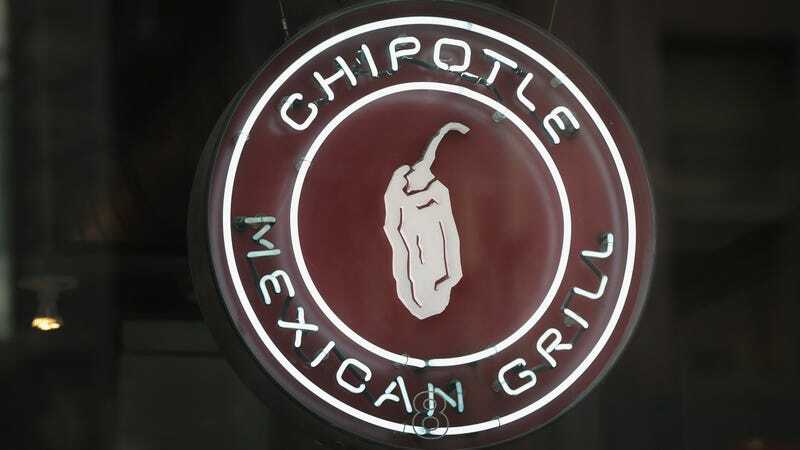 On Wednesday, the Delaware General Health District announced that—as of July 31—it had received 518 inquiries from the public related to a possible outbreak of foodborne illness at a local Chipotle. While not all of these reports might amount to an actual case of illness, the agency has already interviewed 200 hundred people and has sent along food and stool samples to the Ohio Department of Health for testing. The stool samples will be tested for common foodborne bugs, such as salmonella, shigella, and norovirus. The restaurant was shut down and inspected by health officials on Monday, but it was reopened the next day. “Based on the food protection procedures followed by the facility, the inspection team found no reason for the facility to not reopen,” Delaware health officials said Tuesday. Another inspection is set to take place later this week. Chipotle’s food safety reputation has been tarnished in recent years, tracing back to two closely timed but unrelated outbreaks of E. coli in 2015. The outbreaks were declared over in February 2016 by the Centers for Disease Control and Prevention, after 23 people were hospitalized. (There were no reported deaths.) Throughout the years, there have also been reported outbreaks of norovirus traced to several Chipotle locations, including in 2017. Sales took a stumble during these E. coli outbreaks, and even two years later, the company was struggling to rebound. More recently, however, the company did seem to be winning back customer and stockholder confidence (the free guac days and new CEO probably helped). On Tuesday, following the initial reports of the possible outbreaks, the company’s stocks once again took a dip. According to Delaware health officials, people have reportedly come down with symptoms of nausea, vomiting, and diarrhea. The Delaware General Health District has asked anyone who visited that Chipotle location from July 26 to July 30 and experienced these symptoms to reach out to them. We have reached out to Chipotle for comment and will update when we hear back.